Obituary for Ralph E. Roth | Hamilton-Breiner Funeral Home & Cremation Services, Inc.
Ralph Eugene Roth, 81, of Pine Grove went home to be with the Lord on Tuesday, November 27th at Penn State Hershey Medical Center. Ralph was born in Leesport on March 31, 1937, a son of the late Esther (Kershner) and Charles Mitchell and Walter A. Roth. He was the husband of Martina (Schaeffer) Roth. He was a member of Mountainside Bible Church, Palo Alto and was the last graduating class of Ontelaunee High School. Ralph proudly served in the United States Army for over 20 years retiring as a Sergeant First Class. He was a combat veteran serving two tours in Vietnam. 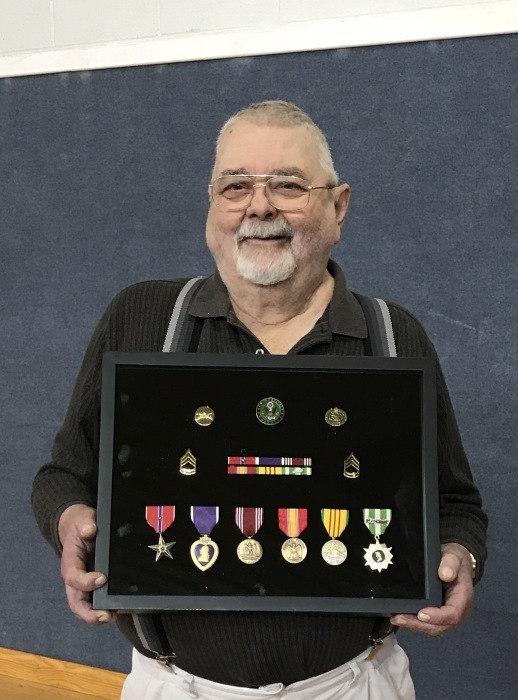 Ralph was awarded a Purple Heart and two Bronze Stars. He was a master gunner and a proud member of the 3rd Armored Division (Spearhead). Ralph is survived by four sons Michael (Samantha) Roth, Keith (Jodi) Seigfried, Terry (Leslie) Roth, Kenny (Melissa) Seigfried as well as his sister Carole Roth; his grandchildren Jessica and Shawn Roth, Victoria Lutz, James, Levi and Isaac Seigfried, Ryan and Jacob Roth, Brady and Sophia Seigfried as well as three great grandchildren. Celebration of life service for Ralph will be on Friday, November 30th at 7 PM at the Hamilton-Breiner Funeral Home, Orwigsburg. Visitation will be from 5 until the time of service. Private Interment at Indiantown Gap National Cemetery. Pastor Kenton Martin will be officiating.